Global Property Inspections Group, Inc.
My Florida Inspections & Construction, Corp.
Statewide Florida Home Inspections, Inc. Comment: Roof leaking in one area that I know of. Shingles look awful. I would like to repair and possibly clean so that I can paint the house. Comment: Unknown age of roof, but I know it has been replaced within the last 10-15 years. There are water stains on the ceiling but I believe that it is from the old roof. I need an inspection of the roof to determine if there is any damage that needs to be repaired/ replaced. Comment: Roof leak on tile roof. Leaking into ceiling inside home. Comment: Roof leak on tile roof. Water going into ceiling inside home. Opa Locka Home Inspectors are rated 4.87 out of 5 based on 1,247 reviews of 56 pros. 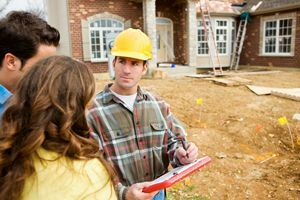 Not Looking for Home Inspection Contractors in Opa Locka, FL?